"Reacted Quickly Communicated Well. Turned Up When Stated." "High Standard Of Work Being Done At My Property. Friendly Engineers. Knows What They’Re Doing." "Prompt Service And Explained What He Was Doing"
"Quick Response And Very Efficient. 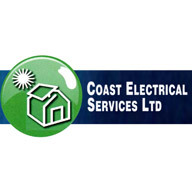 Will Use Again"
Need a Electrician in Blyth?